The proliferation of content on cable outlets and streaming has brought us a wealth of actually really great subject matter, and newer viewing habits — appointment TV replaced by streaming any time replaced by binging entire seasons. That’s old news, of course, but in addition, the resulting long tail seems to mean that seemingly more ‘non-network’ stuff shows up, even on cable. To wit, Mad Men, Louie, Better Call Saul, and now, Mr. Robot. 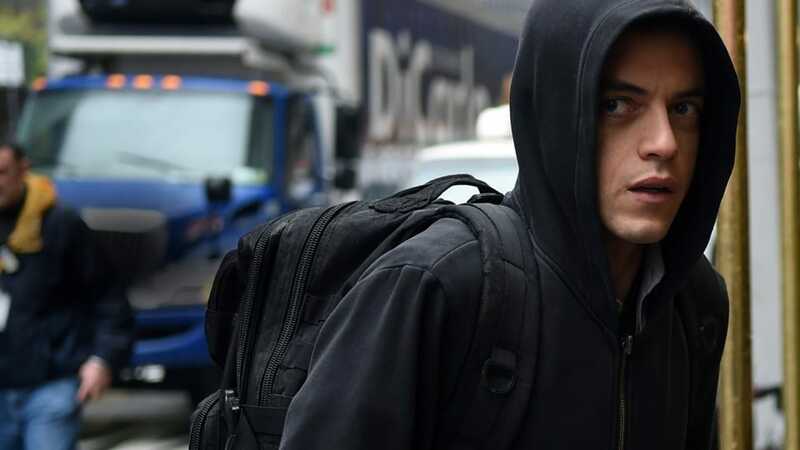 Brilliantly, and off-Hollywood cast (the lead character looks like something from an old Groening cartoon), amazingly shot (watch the framing with characters facing the edge of the screen to really heighten anxiety), and incredibly written (well-layered, and seemingly authenticated), Mr Robot is one of the best we’ve seen in a while. Very topical, very entertaining and thought-provoking, and simply very, very good. If you missed the first season, binge it.